Summary of passage: John the Baptist was sent from God to testify that Jesus is the light. Jesus (the Word) became flesh. 10a) He was sent from God to testify that Jesus is the light so that through him all men might believe. He was an evangelist whose life’s goal was to bring people to Jesus. b) Personal Question. My answer: I think we are all given work to do here on earth that will shine God’s light into other’s lives. And that looks different for everyone. For me, I’m a writer and I try to convey God’s light through my stories. I also pass on God to my kids and to those I meet through my actions and words. God and the encounters He sends us are everywhere. We just have to look. 11) Calling Jesus the Word points to his uniqueness as the Word is what gives life from Creation on. He’s the “One and Only”, implying Jesus is the only way to God. He holds the glory different from humans. Conclusions: The take away here is to remember Jesus’ uniqueness and his special relationship to God and man. And to remember God’s purpose is to save us. Through Jesus. And it’s our job to let others know about that. End Notes: Testifying connotes committing. If you testify for Jesus or for someone on trial, you are committing to him. John the Baptist had a significant following, of which John the Apostle was one until he met Jesus. Some of John the Baptist’s followers were uncertain of Jesus. John makes clear here that John the Baptist is not the light for those who were confused about Jesus. “The Word became flesh” was astounding at that time in history. To the Greeks, their gods were super-men who lived forever, not a different being entirely and certainly not logos. To the Jews, God was an effervescent spirit. How could he ever become as common as a man? John speaks to both beliefs here and announces: Jesus/God is man! God comes to us in the flesh. We don’t have to go out and find Him. He is there always. “And dwelt among us” is more properly translated as “pitched one’s tent”, directly linking to the tabernacle of Old Testament’s time where God dwelled, where the law was kept, where sacrifices were made, the center of the town, and where revelations occurred and God spoke. God is here as our center in the flesh (Holy Spirit in our times). “Seen” is more properly translated “beheld” and meant in Greek “to see with one’s eye” in person, in the flesh. “Full of” is all encompassing. Verse 15 is John the Baptist speaking. In ancient times, if you were older than someone else, you were considered wiser. Intelligence had no say here. Hence, John the Baptist is making is clear that even though Jesus came after him in birth of the flesh, Jesus is the greater. And also he’s saying Jesus did actually come before him since Jesus has always existed. Fun Fact: John never uses the word “grace” after the prologue (verse 14). Another Fun Fact: John uses the Greek word for “truth” 25 times and links it closely with Jesus who is the truth (John 14:6). Introductory Remark: This is the first time I have ever seen BSF do two days assigned together. There are a lot of passages to look up. 6) Personal Question. My answer: I think because people are unhappy with their present life and instead of hoping in God, they are hoping in the future their life will be better. They will marry the man of their dreams, strike it rich, live long and healthy, and find joy. This was especially true in the Middle Ages up until the twentieth century even. Most people were peasants. Their lives were hard with no hope of improvement. They toiled day in and day out just to survive with the prospect of an early death. In reality, until the advent of America where people saw the lower class becoming the upper class most lived lives of despair. I’m not saying America is perfect; what I am saying is that it is the model and the hope of many of what life can be. Even today many are born in poverty around the world with little hope of betterment. So they seek out someone who will tell them life will get better and give them hope. This was the birth of fortune tellers. Many people today will gladly pay someone to tell them what they want to hear–to give them the escape from their live they so desperately crave. I think even those who know better do this. They are so broken down by the fallen world we live in they seek whatever bit of heaven on earth available. And if someone tells them they will have it, they believe. Naively. 7a) Isaiah 45:21: Here, God is speaking and He is saying He is the only one who can predict the future–He and He alone. This is proof of His power and He is challenging the pagan gods of the day to foretell anything (read before and after this passage for the full context). Amos 3:7: God does nothing without revealing His plan to his servants the prophets. 2 Timothy 3:16: “All Scripture is God-breathed and is useful for teaching, rebuking, correcting, and training in righteousness.” We can believe the prophecies in the Bible. Hebrews 11:32-40: All the prophets in the Bible through faith in God accomplished God’s will and fulfilled God’s promises to His people. 1 Peter 1:10-12: The prophets had the truth revealed to them by the Holy Spirit sent from heaven to enlighten us for our sakes and not their own. b) Personal Question. My answer: All point to how the prophecy in the Bible is God-breathed. The prophets mentioned have all fulfilled God’s words and His will for this earth. He is the only god in history to predict the future. Never once has God failed to do what He has said He would do. We can trust in Him. Isaiah 7:14; 9:6-7; Luke 1:26-27: Two prophecies are here if you keep reading Isaiah 7:14-17. One is the prediction of the birth of the Messiah. But before the Messiah grew out of boyhood, the land of their enemies would be laid to waste and the king of Assyria will come. Twelve years after this prediction, Israel fell. Matthew 1:22-23 directly quotes this verse from Isaiah and says it’s in reference to Jesus. 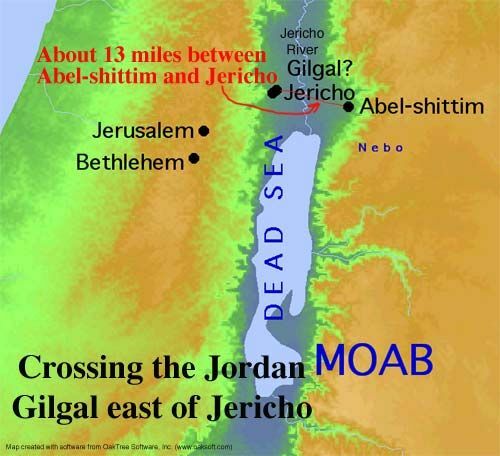 Micah 5:2; Matthew 2:1-6: Micah foretells a ruler will come from Bethlehem. Jesus was born in Bethlehem and Matthew quotes Micah here. Isaiah 53:3-6; Matthew 27:22-26: Isaiah describes Jesus here as one despised and rejected by men and pierced for our transgressions. Here in Matthew we see the people call for his execution and crucify (pierce) him. What’s interesting is the fulfillment of God’s plan for mankind since the beginning of time and how many times God tells His people what will happen. 9) Personal Question. My answer: You can tell a false prophet because they can only bear bad fruit. Deuteronomy (remember from last year?) tells us that a false prophets prophecies will not come true. They will deny the Lord and further do not acknowledge Jesus (1 John 4:2-3). These prophets also don’t listen to us, meaning Godly-people of the Spirit (1 John 4:6). Ask yourself: Is this something in line with God and His character? If not, then it’s false. 10) It is important for our faith. If God has no track record, how can we be sure? God does what He says He will do and He has done it throughout history and the Bible records His predictions and fulfillments. This leads to faith in Him, in His prophecies, in His words. Conclusions: Initially, I was hesitant on question 6. Then I started to answer it and it just flowed. The “why” of it all is powerful. I tend to dismiss all fortune tellers as malarky. It’s hard for me to see why anyone would believe any of these people. But this question answered that for me: it’s hope. People need hope in their lives or their lives are meaningless. And without God, people have no hope and are desperate. I’ve always had Him in my life for which I am blessed. But there have been times when my hope has waned. Now I see how these people have flourished in the past and in the present. With God, there is hope. Without Him, there is nothing. We did discuss false prophets and teachings last year because there are liars and cheats everywhere even today. We hear of cults and sect religions. Especially in ancient times when knowledge was minuscule to what we know today it was prevalent in society for fast talkers to make a buck. Ask yourself: Is this something God would do or say? If not, dismiss it immediately as the devil. End Note: This lesson did take two days for me. Break it up. Looking up all the passages takes some time. 9) Amrad was the father. Mother was Jochebed. Aaron was Moses’ brother. His sister was Miriam. 10a) By faith in God and they were not afraid of Pharaoh’s edict. b) Genesis 15:13-16 where God says they will be enslaved but then he will punish the enslavers and reward them with great possessions and the Promised Land once more. Genesis 12:2-2 where God promises Abraham he will make him into a great nation and bless him and curse those who curse him. Abraham’s covenant with God in Genesis 15 where God promises Abraham to be his shield and to multiply his children and give him the Promised Land. c) She set Moses adrift when she knew the Pharaoh’s daughter was to be at the Nile for her bath. She stayed nearby so that she would be there when they went to search out a wet nurse. She had faith that God would move Pharaoh’s daughter’s heart and she would take him in. She also had the faith to let Moses go and as a mother this is very difficult–to have faith that God will raise your child. d) God allowed her to nurse her child and be with him for a while longer and he allowed Moses to live. He also provided financially for Moses’ parents since she was paid to take care of her own son! e) Personal Question. My answer: Any job I’ve applied for recently. I trust God that if it is meant to be, it will be. Otherwise, it won’t be. I plan for it. I try hard to get it. But my world doesn’t end when I don’t get it for it is God’s plan not to get it. Conclusions: Love how God’s plan is greater than any human’s. Pharaoh does everything he can to kill off the Israelites but fails in the end. I also love God’s irony and humor by placing the leader of the Israelites right under Pharaoh’s nose in the royal palace! Awesome, isn’t it? End Notes: Note that Moses’ parents did obey Pharaoh who said to throw every baby boy in the Nile. Jochebed did this she just included a basket as well. God orchestrated this entire scene: the parents, Moses’ cry, Pharaoh’s daughter. No doubt it was during Moses’ early years that he learned about the Hebrews and God before he left permanently for Pharaoh’s palace. In ancient times, children nursed much longer than today because of the general lack of food. He would have been maybe close to four or five before being returned to Pharaoh’s daughter. Remember the Egyptians are pagans who worshiped many gods so Moses would have been taught them in school. 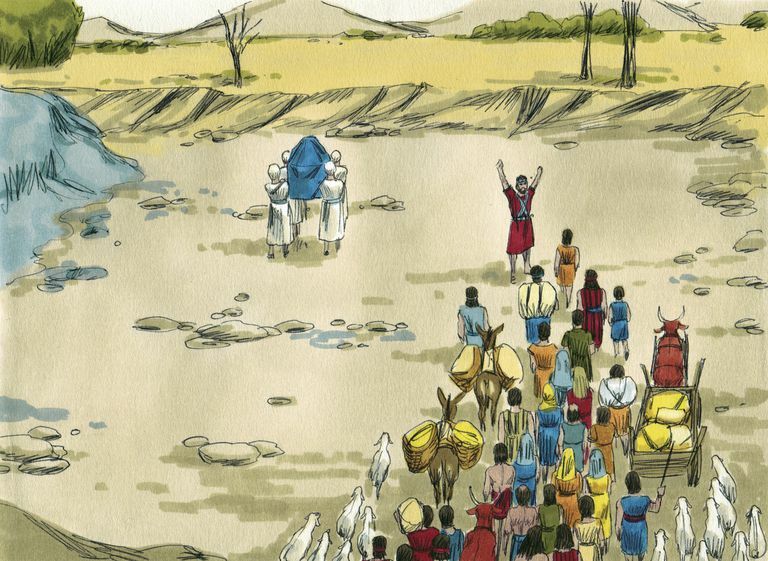 Moses would have been raised with every privilege. Egypt was an advanced society for its time and Moses would have had a stellar education. Acts 7:22 tells us “Moses was educated in all the wisdom of the Egyptians and was powerful in speech and action.” He might have been an heir to the Egyptian throne and may have led battles as an Egyptian prince would have. This we are not told for sure. Summary of passage: God sent Gabriel to Nazareth in Galilee to Mary, a virgin engaged to Joseph, a son of David. He tells her she is highly favored by God and that she will give birth to God’s son whom you will call Jesus. He will be given the throne of David; he will reign over the house of Jacob forever; his kingdom will never end. Mary wonders how she will have a baby and Gabriel says through the Holy Spirit. Even her relative Elizabeth will have a baby in her old age because nothing is impossible with God. Mary says she is the Lord’s servant. b) Personal Question. My answer: Holy Spirit. Genesis 1:2 speaks about how the Spirit of God was there in the world from the beginning. Job says how the Spirit of God has made him and given him life. John says how the Spirit gives birth to the Spirit. I connect this as the Spirit is responsible for all living things and since the Spirit lives within us all (the Holy Spirit in believers), the Spirit was responsible for Jesus’ birth. c) Personal Question. My answer: God is in control of my life and He rules over all. I need not worry for it is all in His hands no matter what happens in my little life. 8a) She unequivocally accepted God’s will in her life despite the hardships she knew she’d face being pregnant before marriage. She didn’t question. She humbly submitted to God’s will in her life. b) Personal Question. My answer: We are being forced to move because our landlord sold our rental. We didn’t want to move at all and have no idea where we will end up, but I am trying to accept it as God’s will and that He has something better in store for us. I am also trying to accept His will in my life in terms of a job. Conclusions: I see this as a trend probably this year that we will be continually comparing Matthew with the other gospels when the passages are parallel in order to glean more insight into Jesus’ life. Normally, I protest this but I think this will deepen the study and is a great way to study the passages of Matthew. I also see a lot of personal questions right off the bat. I’m assuming this will continue as well. Fun Facts: This is the first mention of Nazareth in the Old or New Testaments (it was unmentioned in the Old Testament). Many cultures (in fact, most) have myths that have gods having children with humans. But only in Christianity is there a virgin birth. Passage: In the beginning God created the heavens and the earth. b) After creating the heavens and the earth, God fills both with more creations. Genesis Chapter 1 is all about what God created. All of these support the idea Christ was there from the beginning (Creation). Conclusions: Easy day. Not much here to conclude we didn’t already know: God created the heavens and the earth and Jesus was with Him. Makes sense since God is Jesus and the Holy Spirit.